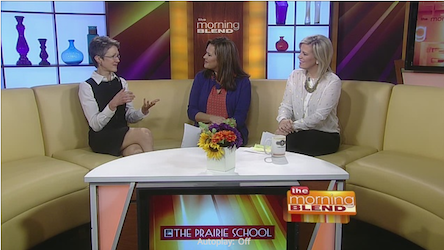 Our very own Co-Director of College Counseling, Mrs. McDonough, was highlighted on the TMJ4 Morning Blend on Thursday, October 22. The feature, which focused on our College Counseling program, provided Prairie the opportunity to share with the community how to properly prepare for the college application process. The method was broken down into year-by-year expectations of students at Prairie. Click this link to watch the recorded stream. This entry was posted in All School, College Counseling, Featured, Upper School by Communications Department. Bookmark the permalink.